A scientific abstract contains data from a study that has been completed. The Study itself may represent a pilot study or may be the results of a large trial. Submitting the protocol for an on-going large trial is also acceptable. Descriptive or observational research abstracts may be submitted as long as there is a research question, the methods are described and results are presented. You must focus your thoughts as the space on the abstract is limited. 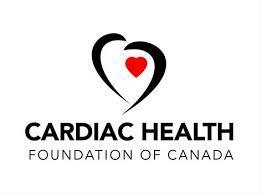 Student Scholarship Awards offered by the Cardiac Health Foundation of Canada will be providing three student awards at the $2000 level. Funds donated by the Cardiac Health Foundation of Canada are for paying tuitions of students and NOT for enrolment in the CACPR conference and travel and accommodation. Funds are directly submitted to the registrar of the university from the Cardiac Health Foundation of Canada directly. Only original research (i.e., data not previously presented, published or simultaneously submitted) will be considered. Abstracts must contain data from completed studies or work well under way. 1. Statement of rationale for the study. 2. Statement of the objectives of the study. 3. Statement of the methodology used. 4. Statement of results - data must be presented and statistical significance addressed. 5. Statement of conclusion(s). The conclusion must be based on the results rather than a hopeful promise of additional data or discussion. 1. A minimum of 10-point type or the equivalent is required. The maximum number of words is now 400 not including the title and authors. Use a readable typeface. Your abstract will be reduced in size for publication in the JCRP. 2. Completely capitalize and bold the title. Do not indent the title. 3. Start the author’s names on the line after the title leaving a space after the title. Initials or first names must precede the last name. Type the presenting author’s name first. Institutional affiliation and city are required. Proper numbering and citation are required or your abstract will be sent back. 4. Street addresses, zip codes, degrees and grant support are NOT to be listed in the abstract. 5. Begin the body of the abstract on a new line. Leave a space between the listing of authors and the body of the abstract. 6. Type the entire abstract in one paragraph and single-spaced. 7. The left-hand border must be perfectly straight (justified). 8. When using abbreviations, spell out in full the first mention followed by the abbreviation in parentheses. 9. Do not use capitals, bolded text or underline for emphasis. 10. Check accuracy of spelling and hyphenation. Your abstract will appear in print exactly as submitted. Successful abstracts will be cited in the Journal of Cardiopulmonary Rehabilitation (JCRP) with full abstracts printed online and CACPR CV Edge. *All accepted submissions will need to register under CACPR and attend the Conference.